Mixed martial arts is an interesting amalgamation of sports and entertainment, where the athletes that compete in it are expected to perform at a high level while also exhibiting personality traits that entertain the fans. One competitor who manages to accomplish this is former Bellator MMA lightweight champion Michael Chandler. 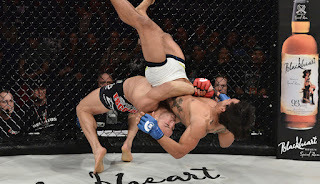 After scoring yet another victory at Bellator 192, it will be interesting to see what Chandler does next within the promotion, or whether he will leave the organization for the greener pastures that are the UFC. For three rounds Chandler dominated Goiti Yamauchi, earning a unanimous decision victory, his fifth victory in six fights. 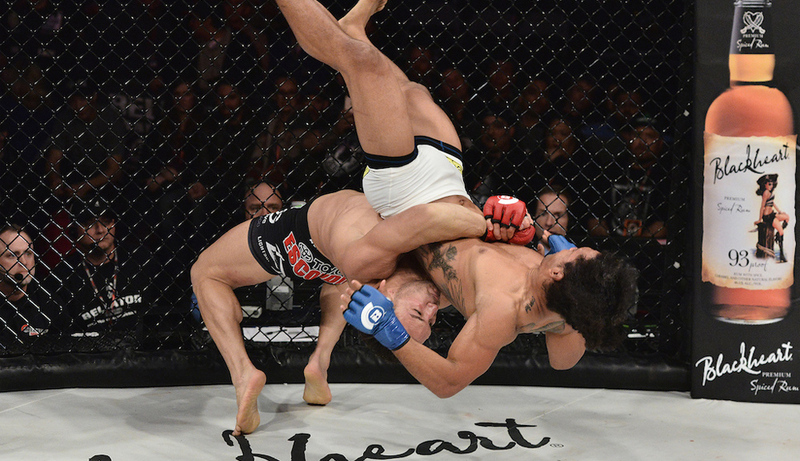 Overall, he’s put together a 14-4 win/loss record for Bellator since debuting back in 2010. Chandler is one of the few homegrown athletes that have blossomed into individuals that the organization can put at the forefront. Although he (like just about everyone else on the roster) hasn’t directly contributed to increased viewership, Chandler has been groomed into the type of athlete that can be leveraged for other promotional opportunities. This is why it’s important to dive into his comments after his victory at Bellator 192. For the first time, Chandler is talking about pursuing the kind of “money fights” that have been plaguing the UFC as of late. However, unlike some of the the individuals that are angling for bigger fights in the UFC, Chandler is the type of competitor who’s willing to take a fight against any man that’s placed in front of him. Names such as Rory MacDonald and Patricio Freire are already springing to the top of lists of potential “superfight” candidates. Both of these potential superfights can be worthwhile additions to any Bellator event, especially as matchmakers plan around the Bellator Heavyweight Grand Prix. But the bigger question is whether a 31-year-old Chandler could eventually make his way over to the UFC. Even though he’s relatively young, Chandler has taken a ton of damage during his nine-year professional career. Coupled with the wear and tear of his time as an amateur wrestler, one must wonder just how much he has left in the gas tank. If he becomes a free agent, many will wonder if he has enough fuel to make an impact in the Octagon. We’ve seen many former UFC competitors fail when making the jump from the UFC to Bellator, but big names moving from Bellator to the UFC have experienced some success. It would be interesting to see Chandler make an attempt to add his name to that list. Michael Chandler is one of the best mixed martial artists in any weight class who is not competing in the UFC. As he attempts to leverage his name for more money fights, it will be a compelling story to watch unfold, especially if that leads to him eventually making the leap from Bellator to the UFC, where the biggest money fights are to be found.